Xbiotech, an Austin, TX-based company founded a decade ago, has taken its mission to develop drugs from naturally occurring monoclonal antibodies to the public markets. The company sold 4 million shares at $19 a piece, in the middle of its expected range, to raise $76 million. WR Hambrecht + Co. was the sole underwriter of the offering. Xbiotech is listed on NASDAQ under the symbol XBIT. The company is targeting a variety of diseases, including cancer, vascular disease, Type 2 diabetes, acne, and psoriasis. The focus of most of its efforts so far has been to use its therapeutic antibody, MABp1 (Xilonix), against metastatic colorectal cancer, the company says in regulatory filings. 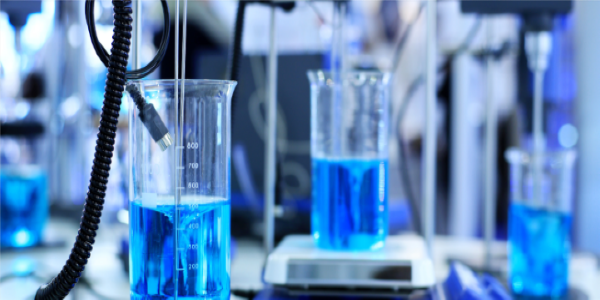 The company received fast-track designation for Xilonix from the FDA, and currently has Phase III clinical trials ongoing in the U.S. in Europe for colorectal cancer. Part of what Xbiotech is attempting to make is an antibody with a cleaner safety profile, as Xconomy’s Bernadette Tansey wrote in a 2013 profile of the business. 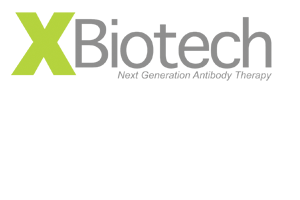 The company believes its antibodies, which occur naturally in humans, may be safer and more efficacious than antibodies produced through animal immunization technology or otherwise engineered, Xbiotech says in its regulatory filings. And in what is a unique move for early stage biotech firms, Xbiotech started construction on its own manufacturing facility on five acres of land it owns on the east side of Austin. The company plans to use about $12 million of its IPO proceeds on that facility, while the majority of the money—about $30 million—will be used for completing the Phase III trials, Xbiotech says in its filings. That cash is in addition to $57.3 million Xbiotech already had on its books before the IPO. In total, the company has raised $134 million since its founding in 2005, according to the filings. Still, even with the IPO, 87 percent of the company’s shares will be held by pre-IPO investors. The company’s CEO, John Simard, is the largest shareholder, with 23.2 percent of the business before the offering. The board of directors and executives named in the filings combined own 35.9 percent of the business, according to the filings. A couple of individual directors stand out on the board. Fabrizio Bonanni spent more than a decade at Amgen, where he headed up the company’s manufacturing program for biological drugs, the filings show. Daniel Vasella is the former chairman and CEO of Novartis, and remains the company’s honorary chairman. One other director, W. Thorpe McKenzie, is a managing director of Pointer Management Co., a Chattanooga, TN-based fund of funds. McKenzie held 14.4 percent of the company before the offering. Xbiotech did not respond to a request for comment.